Arca Noae is pleased to announce the immediate availability of a new release of our MultiMac NIC driver package. This package contains updated drivers to incorporate enhancements and fixes in the system libraries, particularly a fix that can prevent unexplained hangs on busy multi-CPU systems. Because the change is in a system library, this update affects all the MultiMac drivers. The E1000B driver also received an update to the driver itself. As always, please read the .txt file that comes with each driver and also provided on the wiki. If you have problems with any of the drivers in this release, please read the Debugging Guide in the wiki first. If your problem cannot be resolved with the Debugging Guide, then the problem should be reported to the ticketing system. 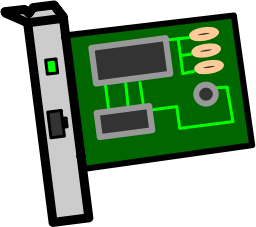 More information about the MultiMac NIC drivers may be found in the wiki. This entry was posted in Arca Noae, New software releases, News and tagged components, driver, ethernet, lan, network, nic, shop, store, tech, update on September 8, 2017 by David Azarewicz.